includes a 2-Year license, covering ALL your devices! 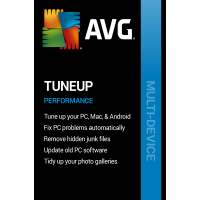 AVG TuneUp - Unlimited is a set of tools for cleaning up and optimising PCs, Android devices and Macs. 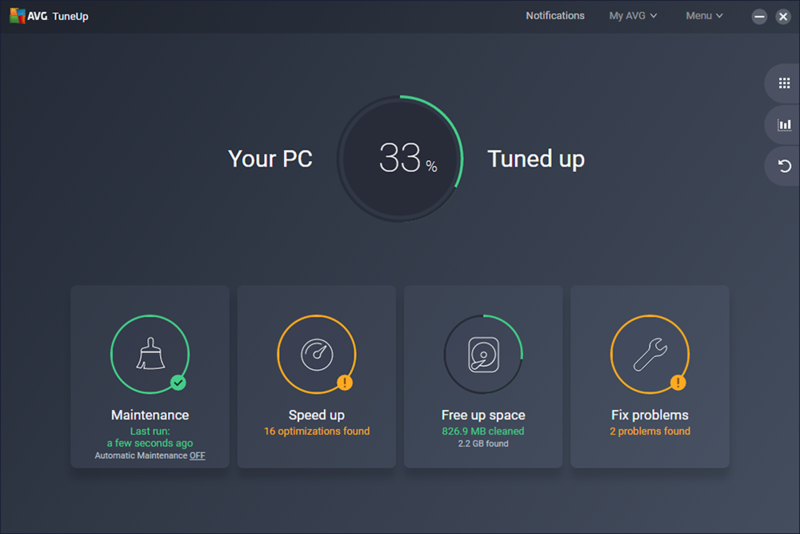 AVG TuneUp covers all your PC maintenance needs, and we don't just mean the usual "empty the temporary folders and delete your browser history". The program cleans up after major applications, locates duplicate files, removes bulky startup programs, repairs and defragments your Registry, deactivates unnecessary processes, optimises battery life and more. If you're the hands-on type then you can take full control, but otherwise the program is able to do most of its work entirely automatically. The new "Software Updater" will scan your system and check for new versions of installed software then either notify you or automatically update in the background. AVG Cleaner for Android frees up storage space by clearing unwanted cache files, your browser and app history, maybe old call and message conversations. An App Uninstaller helps view and uninstall your apps by size, data or battery use; Cleaner's profile system optimises battery life, and again there's an "auto maintenance" tool to tidy up your device on a regular basis. AVG Cleaner for Mac concentrates on hard drive clutter. Its Disk Cleaner removes unwanted files to free up disk space, while Duplicate Finder searches your system for wasteful duplicate files. You're not restricted to using just one of these, or one per device: the AVG TuneUp license covers all your PC, Mac and Android hardware, no matter how many of each you've got.